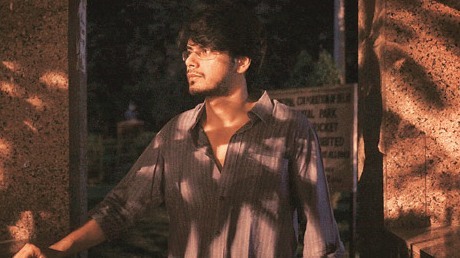 Shaunak Sen is a filmmaker, video artist and scholar based in Delhi. ‘Cities of Sleep’ is his first feature length documentary, funded by the Films Division of India. He has edited various other documentary and experimental fiction/non-fiction films. Shaunak, a recipient of the Digital and Social Media Fellowship from Sarai in 2014, is a mass communication graduate of AJK MCRC Jamia Milia, New Delhi. During his residency at Bern, Shaunak screened his feature length documentary film ‘Cities of Sleep’ at PROGR. The film explores the struggle of the homeless in the national capital of New Delhi, in finding a spot to sleep; and the spaces and institutions that are encountered in the process. The film won two awards at the Taiwan International Documentary Festival, (The Next Generation Best Debut Director Award and the Merit Prize in the Asian Vision competition) and the Best Documentary Award at the New York Indian Film Festival.